I don’t know if Tony came up with this quote himself or not, but it caught my attention and made me think about people making money with Hodo Global, TripSpin and the RYZE.Ai program. I can’t tell you how many people have told me; “I want to make money trading currencies too” or “I wish I could learn to make extra money” or “I want to build up a second income and quit my job”. These are all things that are possible if a person is willing to put in the time and effort to make them happen. There are no shortcuts, you won’t be able to learn to trade overnight or to build a business overnight. It takes commitment, effort, time and perseverance to become successful. Only you know if you really want it, my intent is not to convince you what you want, but if you do want it to educate you on how to get there. When I explain to people how I am on my way to becoming a full time, successful business person working from home and the specific steps I am taking to get there, they are always interested. That is they are interested until their BUT gets in the way. I want to, BUT I don’t have the time to learn new things. I would like to, BUT I can’t attend the training sessions. I want too, BUT I am too scared to try. I want to, BUT I don’t want to put any money into a trading account. I really want to quit my job, BUT I don’t have time to work on building a business. I want to do it, BUT I have kids. I want to, BUT I’m to old to learn. I want to, BUT I don’t know how. I want to, BUT I don’t have any money. I want to, BUT my friends say it won’t work. I really want to, BUT my family says it won’t work. I would love to, BUT people will make fun or me. I want to, BUT people will laugh at me. I would like to, BUT what if it doesn’t work? 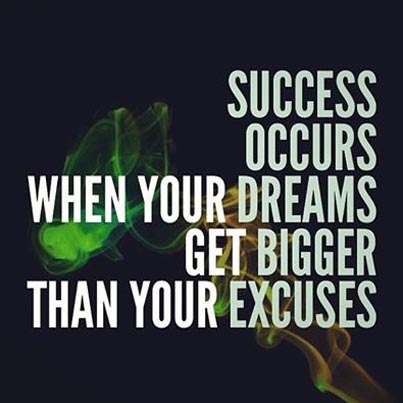 These but’s, or excuses if you will keep people from achieving the goals they would like to achieve. These buts are holding people back, keeping them from becoming an entrepreneur or financially free or whatever their goals may be. Do you want it? Do you really want it? If so, shrink your buts. I can show you how to become a successful business owner and how to make your brokerage account grow through currency trading with RYZE.Ai. I can show you a path to achieving your financial goals. I can’t shrink your BUTS. I will make the time to study. I will make time to attend the webinars and live training in my area. I will not be too scared to try. I will be willing to invest in my dream. I will make the time for my business. I will support my kids and make time for my dreams. I will find a way to make it work financially. I will do it. My true friends will support me. I will show my family I can do it. I will do it even if negative people make fun of me. I will do it even if negative people laugh at me. I will do it, failure is not an option. If you want to become an entrepreneur or business owner, do it. If you just want to earn profits from currency trading and RYZE.Ai, just do it! I can logically show you everything you need to do and provide all the tools. However, YOU must want it. YOU must really want it. YOU must get rid of your BUTS. YOU must chose to do instead of not do. The first step to success is truly overcoming the BUTS and taking action. Will you shrink your buts as Tony says or will you let your buts stop you? It is totally up to you, it is your choice. I choose DO. Click here to start. If you have any questions, please leave me a comment below or send me an email to Xin@FXTradingIncome.com . This entry was posted in Hodo Global and tagged forex trading, FXTradingIncome, Hodo Global, Motivation, Ryze.ai, Xin Zhang on May 21, 2017 by Xin Zhang.